In Maharishi University of Management’s Sustainable Living Department, students learn the skills that they need to help make the world a more sustainable place. Learn how to create holistic solutions for the world’s most pressing environmental, economic, and social challenges. Sustainability begins within ourselves — that’s why our department emphasizes both inner and outer sustainability. 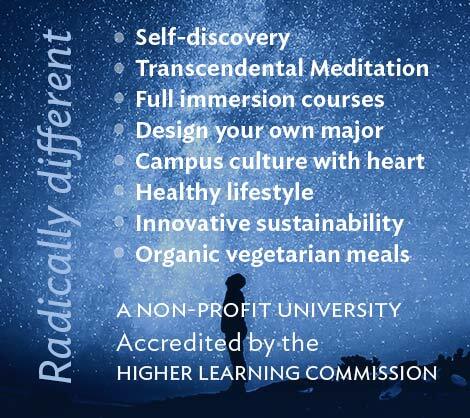 MUM was the first U.S. university to offer a sustainable living degree, and it transformed the whole campus culture. We utilize renewable energy, compost our dining hall waste, and are committed to increasing campus sustainability. Students at MUM focus fully on one full-time course per month as part of the block system. Our small classes offer plenty of opportunities for hands-on work, class discussions, and interaction with professors. Our expert faculty are committed to helping you fully understand what you’re learning and will also serve as mentors to support your personal and spiritual growth. 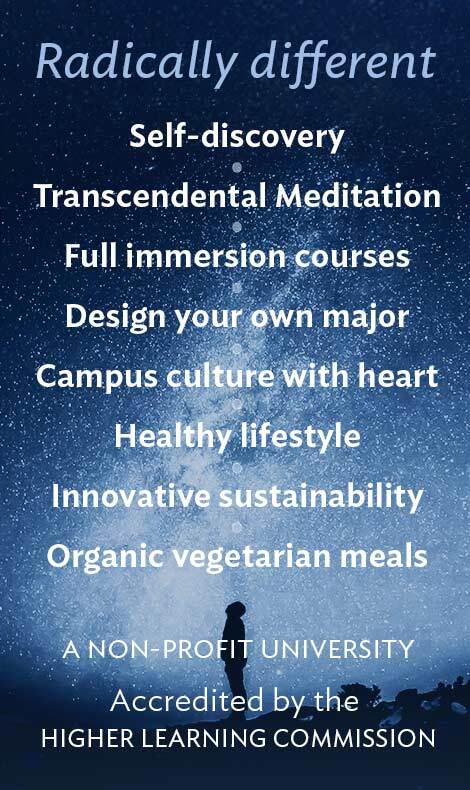 All students and faculty in our department practice the Transcendental Meditation technique, an evidence-based practice that reduces stress, enhances brain functioning and increases creativity. This technique allows your active mind to easily settle inward, through quieter levels of thought, until you experience the most silent and peaceful level of your own awareness — pure consciousness. A world based on the principles of sustainability not only changes how we build our homes, grow our food, or use energy but also how we treat ourselves and each other. At MUM, you’ll meet a dynamic community of change agents, industry pioneers, world-class faculty, business leading alumni, and talented peers who are working together to change the world from the bottom up. In our department, we have a community kitchen, two greenhouses, a large garden, a wood-fired pizza oven, and a bike shop that are completely free and open to our sustainable living community. Dr. John Fagan is a leading authority on sustainability in the food and agricultural system, on biosafety, and on food safety and authenticity. He is a successful entrepreneur in the field of biotechnology, having founded, built and sold Global ID Group, a pioneering company developing innovative molecular biological tools to verify and advance food purity, safety, and sustainability. 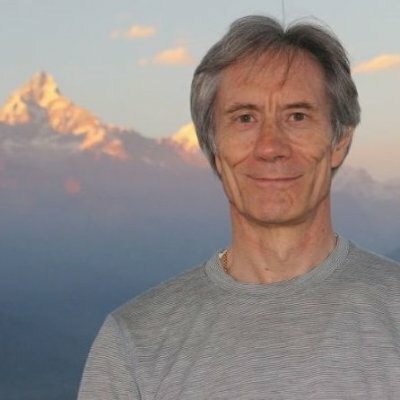 His expertise is sought around the world by industry and government leaders, scientists, and the public, to whom he has presented hundreds of lectures and provided advisory services during the last decades.